This, then, is the thunderbolt of God that devastates open sinners and false saints alike, tolerating no one to be righteous, but driving all to terror and despair. This is the hammer that Jeremiah speaks of: “Is not my word…like a hammer which breaks the rock in pieces?” (Jer 23:29). This is not activa contritio or manufactured repentance, but passiva contritio — true sorrow of the heart, suffering, and threat of death. God uses his law to demolish the false righteousness of so-called saints and sinners too. He uses his Word to awaken us from the death of spiritual sleep. The effect is not that of a gentle alarm clock but rather, a jackhammer that jolts us into consciousness. It wakes up the conscience and causes us to sense who we truly are: wholly unrighteous beings standing before the holiness of God. The religious are no more exempt from this sudden terror of conscience than are arrogant sinners. Even original sin must be repented of daily; it is an act of wakefulness, of awareness. When God’s Word, his hammer, brings a person to this place of contrition, salvation is nearer than they suspect. Prayer: Bring the hammer of your Word, Lord, and awaken me. Amen. 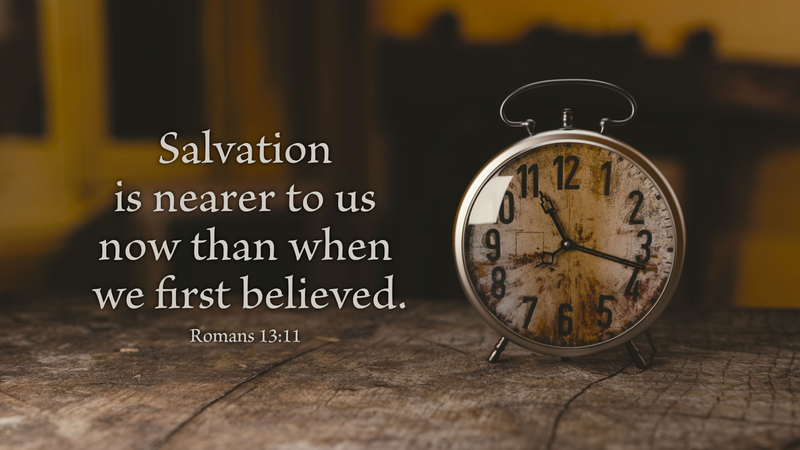 The season of Advent is not only a time of preparation for Christmas, it is a time to consider God's long-term plans and how God has promised that he will intervene in the lives of his people, and the world itself, on the coming Day of the Lord. 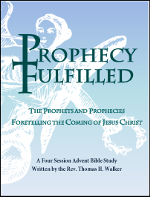 Prophecy Fulfilled is a four week Bible Study about the Old Testament prophecies of our Lord's Advent, showing how these prophetic words were fulfilled not only in the coming of Christ over 2,000 years ago, but how they also point ahead to the return of Christ in his Second Coming.